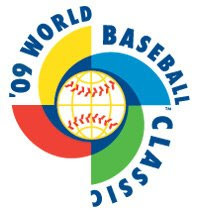 The World Baseball Classic site recently posted all of the preliminary rosters for the 2009 World Baseball Classic. Here's the numbers. Preliminary rosters consist of 45 players, which will eventually be cut down to a necessary 28 for the tournament by February 26. Our roster has 20 pitchers, 5 catchers, 12 infielders, and 8 outfielders. From that, they need to choose a mondatory 13 pitchers, I'm thinking 3 catchers, 7 infielders and 5 outfielders... give or take one from each of those groups (except for the take part from the pitchers). Our coaching staff has some tough decisions to make in the near future. Saturday they are to cut 7 players and come up with a roster of 38 that will travel to Florida on our 2 week pre-WBC training period in Bradenton, the spring training home of the Pittsburg Pirates. For the pitchers that they take, all will get to throw one inning in the first 2 exhibition games we play vs. the university teams to give the staff a small sample of what they can do. We have a roster with 4 current major league pitchers, and the Seatle Mariners and Washington Nationals top prospects (outfielders Grag Halman and Rogear Bernadina). Of the 45 players on the roster 23 are from the dutch Headclass league, and 22 are on professional clubs. 31 have played or are currently in professional baseball. Anyways, we play in a pool with the Domincan Republic, Puerto Rico, and Panama. These are 3 teams full of major leaguers, especially the team we face first, the Dominican Republic. This team includes such major league all-stars as Alex Rodriguez, Albert Pujols, Alfonso Soriano, Pedro Martinez, Vladimir Guerrero and a team full of recognizable names. I think they will all underestimate us, which is excellent. If we can win one of our first 2 games (which we pretty much need to since it's double elimination), I honestly think we have a chance at being one of the top 2 teams in our bracket. You can check out all the rosters here. We're heading out in 2 weeks for a couple weeks of WBC spring training, and hopefully after 3 exhibition games versus major league team right before our bracket begins march 7, we'll be ready to go... watch out. I hope the other teams wil underestimate Oranje as well. With 4 MLB pitchers on the Oranje roster and the Olympics in my back mind.... will you aim for SP or the closer role?